Are you thinking of becoming a teacher in Arkansas? A career in teaching can prove to be highly rewarding in many ways. The following steps will help guide you toward becoming a certified teacher in this great state. Do you see yourself as an elementary school teacher? Would you prefer working with older high school students? One of the first important things you should figure out is the level you want to teach. If you want to become a high school or middle school teacher, you might then try to decide on which subject you would like to teach. The answers to these questions will help you stay on track when following the steps to becoming a certified teacher in Arkansas. In order to teach professionally in Arkansas, you must at least hold a Bachelor's Degree from an accredited college or university as well as complete a teacher preparation program. If you do not have your Bachelor's Degree yet, you will most likely complete a joint program. This type of program blends all of the coursework for your Bachelor's Degree and teaching certificate. Although the joint programs are generally more intense, they allow individuals to complete the requirements for becoming a teacher faster. As a teacher in the state of Arkansas, you must hold valid teaching certification or licensure. You can earn this by completing a teacher preparation or preservice program which has been accredited. As mentioned earlier, there is a possibility that you can blend together your Bachelor's Degree and teacher preparation program coursework together at your college or university. Ask your advisor about this because it will make the process simpler and more timely. If you already have a Bachelor's Degree, you can complete an alternative or post-baccalaureate teacher preparation program. This route will still fulfill the necessary requirements for a teaching credentials in Arkansas. You could even join a Master's joint program if that is an option for you. Ask your school advisor about this for more information. Educator preparation programs involve both set curriculum and fieldwork elements. In the teacher preparation program, you can expect to focus your studies on different types of teaching methods, theories, differentiated instruction, and technology integration. You must also successfully complete observation hours, reflective writings, and student teaching. You will learn to show that you are highly skilled in the subject area that you plan to teach in the state of Arkansas. You will learn to prove your mastery of general knowledge, education competence, and also professional preparation. If none of these options apply to you, then there are several alternative routes that you can choose from to become a teacher. The Arkansas Professional Pathway to Educator Licensure (APPEL) a program specifically for individuals who already have a Bachelor's Degree or higher. This program allows candidates with degrees to work as a classroom teacher while completing the necessary requirements for a Standard Arkansas Teaching License. Another alternative route to teacher certification is through the Arkansas Teacher Corps (ATC). This program provides an accelerated path to teaching for graduates and professionals who are high achieving and service-oriented. Graduates and professionals from all majors and backgrounds can apply to this program. Accepted applicants will be placed in full-time, paid teaching positions in high-need districts across the state for 3 years. If you want to teach in the state of Arkansas, there are some tests that you will need to pass first. Beginning teachers in all content areas should pass all three Praxis Core Academic Skills for Educators tests. Passing the Core tests is required for entry into teacher education programs and non-traditional licensure programs. Prior to achieving licensure, you will need to take and pass the subject matter competence tests required for your specific licensure areas. The Praxis II test can be taken to fulfill this testing requirement. This test will assess a candidate's skills in the area they wish to become certified in. The test is comprised of multiple choice questions along with some constructed response questions. You are now ready to begin a life-changing career as a teacher. You will have the ability to positively affect the lives of children in Arkansas. The state of Arkansas is looking for qualified and motivated educators to help move their students toward graduation in the 21st century. The Arkansas Department of Education has linked with the Arkansas Association of Educational Administrators (AAEA) in order to provide a database for teaching jobs in the state. Once hired, public school teachers join the Arkansas Education Association (AEA) and the non-union Arkansas State Teachers Association (AAE) in order to meet their solidarity, liability, and collegial professional development needs. Through networking and advocacy, teachers are able to make gains in their careers. Arkansas State and Public School Plan Members can participate in ARBenefits during their career and after retirement. Public school teachers are also eligible to participate in ARTRS, the Arkansas Teacher Retirement Program. These plans provide monthly income, benefits, and support for teacher retirees. Some teacher decide to work in the private sector. There are almost 200 private schools in the sate with almost 30,000 students and approximately 2,700 teachers. Often the state's private schools have a Baptist or Christian affiliation. Teachers in private schools may find the pay scale, benefits, or professional opportunities vary considerably from what is offered in the public system. The table below lists the number of public school teachers in Arkansas by grade level during the 2012-2013 school year. There are more than 150 private schools with an estimated 2,100 private school teachers in Arkansas. The table below details the number of teachers by grade level during the 2011-2012 school year. Current standards are beginning to design systems to help and guide educator self-reflection, self-assessment, and goal setting for learning and growth in terms of teacher professional development. Fostering these qualities is key in order to ensure student achievement is maximized. In the state of Arkansas, the state board's Office of Professional Development facilitates the offerings of many stakeholders in order to provide a high standard of professional development opportunities to all of the state's educators. Teachers in Arkansas are required to obtain a minimum of 60 hours of professional development every year. The state focuses on several main streams of PD, including English Language Arts/Literacy, Math, Science, and communication skills for teachers. 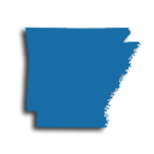 Keeping your teaching license current in Arkansas is a simple matter of accumulating 60 hours of professional development over the five-year span of the license. While you can meet those requirements through approved professional development continuing education courses, you can also count one credit hour of graduate coursework toward five hours of professional development work for a total of up to fifteen hours each licensure period. It must be related to and enhance your knowledge in a subject area in which you are currently employed. OR it is part of the requirement for obtaining additional certification in a subject matter area designated by ADE has being a critical shortage area. 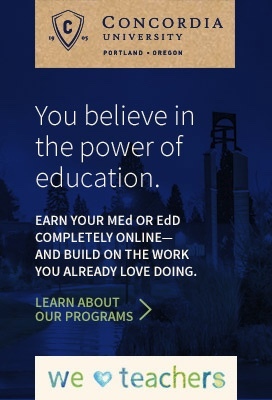 OR it has otherwise been approved by ADE as a course eligible for professional development recognition. The institution where you are studying will also have to be approved by either your school, if you are currently teaching, or the Department of Education if you are not. The department does not keep a list of approved providers but provides an email contact on their Professional Development portal for assistance in locating one. Earning a master's degree will also do your bank account a big favor. Most school districts in Arkansas have a two-dimensional salary schedule. Your salary will go up based simply on your years in service, but it can also go up with the degree and additional educational credit you have accumulated. For example, at the Greenwood School District, a 5th year teacher with a bachelor's degree can earn no more than $43,841. But with the same experience, if you hold a master's degree you can earn $47,091. The salary eligibility continues to go up with additional credits, to a maximum of 36, although the very top of the pay scale is reserved for teachers with a doctorate. No matter what, earning a master's puts you on the path to greater professional options, higher pay, and better skills as a teacher.